Salton Sink is a collaboration between Bosko Hrnjak and Truus de Groot. An exhibit of sight and sound which grew out of their obsession with urban archeology. Bosko and Truus have been exploring the Salton Sea desert area’s endlessly fascinating mid-century ruins and the awe-inspiring natural beauty surrounding them since 1998. In addition to the photographs Bosko created large sound sculptures and musical instruments from found objects. Truus created a sound track for the visuals. This album was released in 2010 under the title, Salton Sink – Vol. 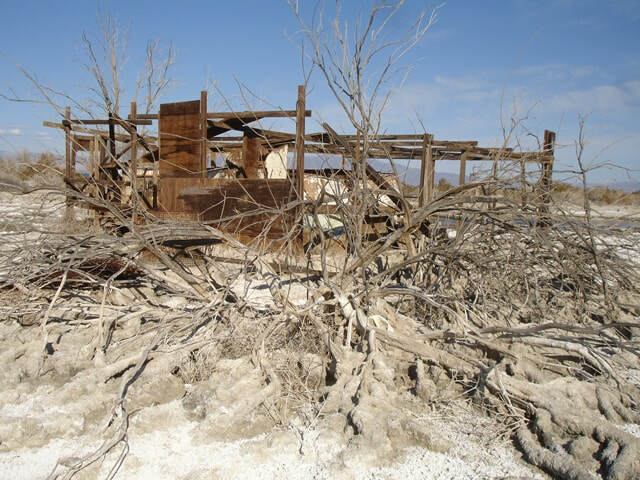 1, Salton Sea. 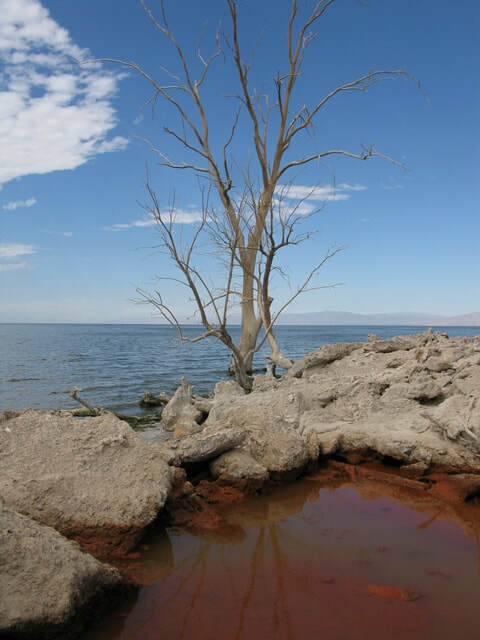 In addition to her signature experimental synthesizers and the legendary Crackle Synthesizer, they used field recordings of Salton Sea’s geothermal areas as well as Musical instruments created by Bosko. Truus has done numerous live performances with a slide and music presentation in the US and Europe. It is their desire to bring awareness about the sea’s ever evolving situation with their respective art forms.